JNTUH B.Tech/B.Pharmacy 2-1, 3-1, 4-1 Sem (R16,R15,R13,R09,R07) Regular/Supply Exam Time Tables Nov/Dec 2017, jntu hyderabad II Year I sem, III year I sem and IV Year I sem end examination time tables 2017. 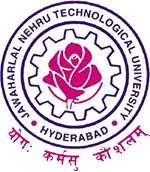 JNTU Hyderabad has announced B.Tech and B.Pharmacy 2-1, 3-1 & 4-1 Semester Regular/Supplementary Examination Time Tables November/December 2017. Students Check and download official time tables from below given links or from official website. Sir what about 3-2 ? i have a subject pending at 3-2 when will the time table for it be released?